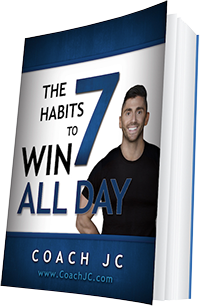 Today we have a WINNING recipe for you so that you can WIN in your nutrition and WIN in life! Today’s WINNING recipe to meet Coach JC’s 10 WINNING Habits is Low-Carb Tuna Salad with Dressing. Where are my veggies? Where is my lean protein? In a blender or food processor, combine the ingredients for salad dressing. It makes 6 ounces. In a bowl, flake the tuna, and combine it with a third of the salad dressing (1/4 cup)*. If the tuna is unsalted, add 1/4 teaspoon salt as well. Set aside to marinate for 10 minutes. 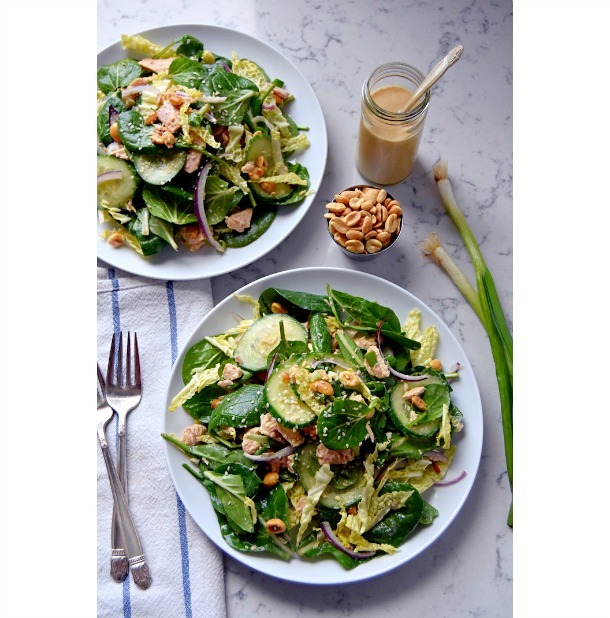 In a salad bowl, combine the salad greens, cabbage, cucumber, red onion, green onions and peanuts. Toss in the marinated tuna. Add the remaining dressing to taste, and divide between 2 plates. Garnish with sesame seeds. *Note: Recipe is written lightly dressed. Dressing makes enough for 2-4 additional lightly-dressed salads.